In 1683, Richard Sadler opened a “Musick House”, the second public theatre in London after the Restoration (the first being Theatre Royal, Drury Lane). “Sadler’s Wells” originates from his name and the rediscovery of the springs with medicinal properties. Drinking the water from the wells was effective against “jaundice, scurvy, fits of the mother and virgin’s fever”. The present-day theatre is the sixth on the site since 1683. This smart and modern venue has natural daylight, fully integrated state of the art AV with in-house technical staff, air conditioning and free Wi-Fi internet throughout. Our experienced Events team provides dedicated event management ensuring smooth delivery and success. Clients also benefit from in-house catering providing a wide range of fresh, seasonal menus for a variety of occasions. 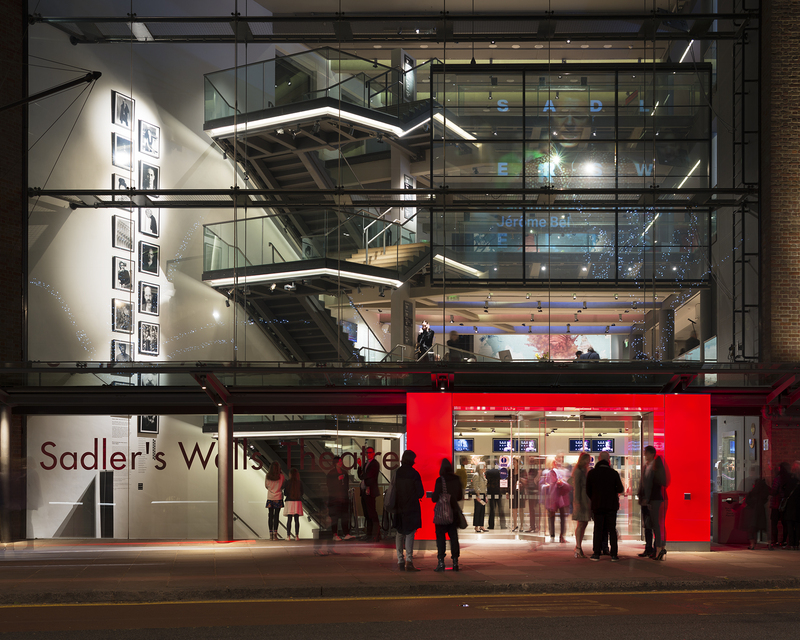 Sadler's Wells has played host to prestigious companies including Sony Music, KPMG, The Guardian, TEDx and many others. We would be delighted to host your event at Sadler's Wells. Small meetings are covered with us here at Sadler’s Wells Theatre, we have the Cripplegate Room and Sackler Room, both offering a boardroom for 12 guests from only £188.00 + VAT per day. Both rooms are ideal for small boardroom style meetings or as interview rooms. The spaces boast full AV provision in a contemporary environment. With our Fox Garden Court Café, open for hot and cold refreshments, breakfast, sandwiches, snacks and our freshly prepared hot lunch offering, we are able to open an account for you and your delegates whilst you are onsite. We are also able to offer a 20% discount on all food and beverage taken from the Fox Garden Court Café!! Contact the Events Office on 020 7863 8065 or email us on events@sadlerswells.com for availability. This offer is available until Friday 31st May 2019.